Come out, show off & have some fun! 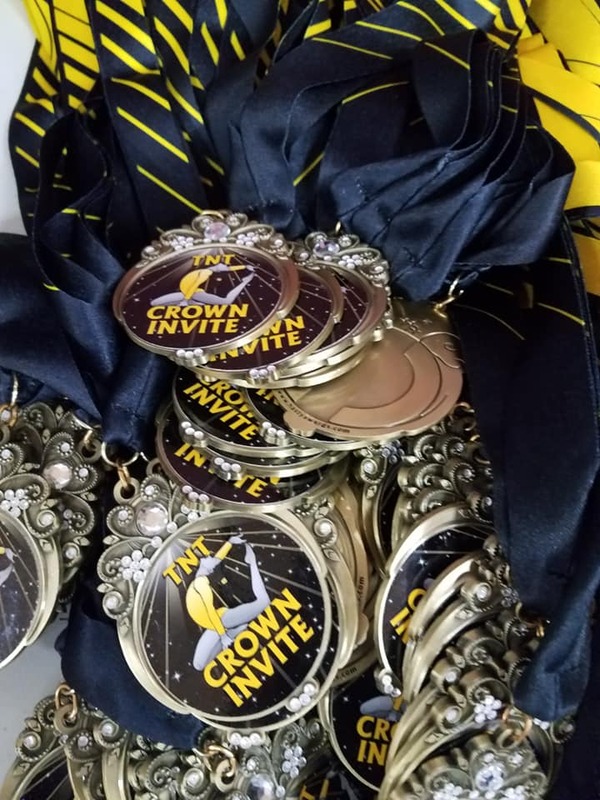 We promise it will be a FANTASTIC experience for your special gymnast! NO REFUNDS AFTER MAY 3rd, 2019. 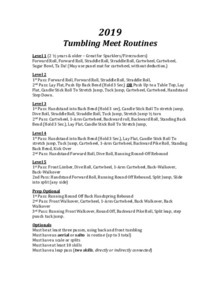 Download "2019 Spring Fling Tumbling Meet.pdf"
Please click icon to view 2019 Tumbling Meet Routines. 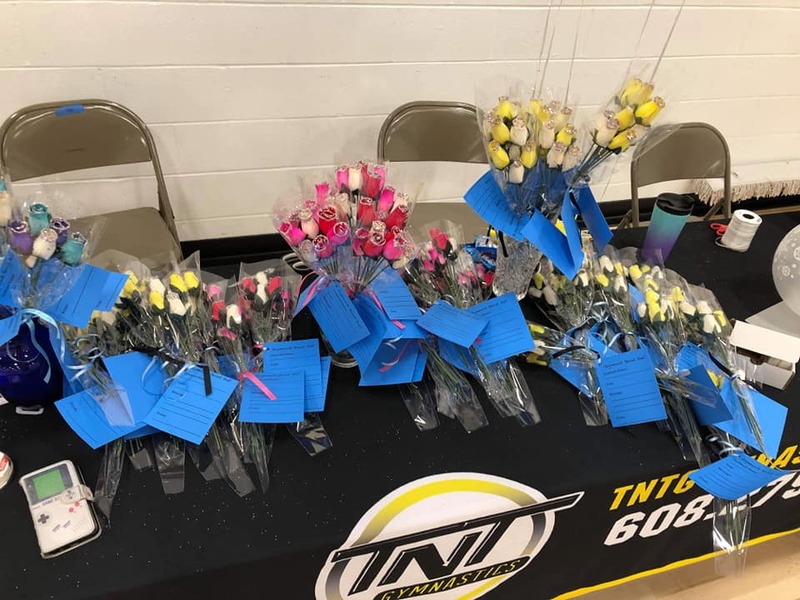 Download "2019 Tumbling Meet Routines.pdf"
FAQs about TNT Tumbling meets! 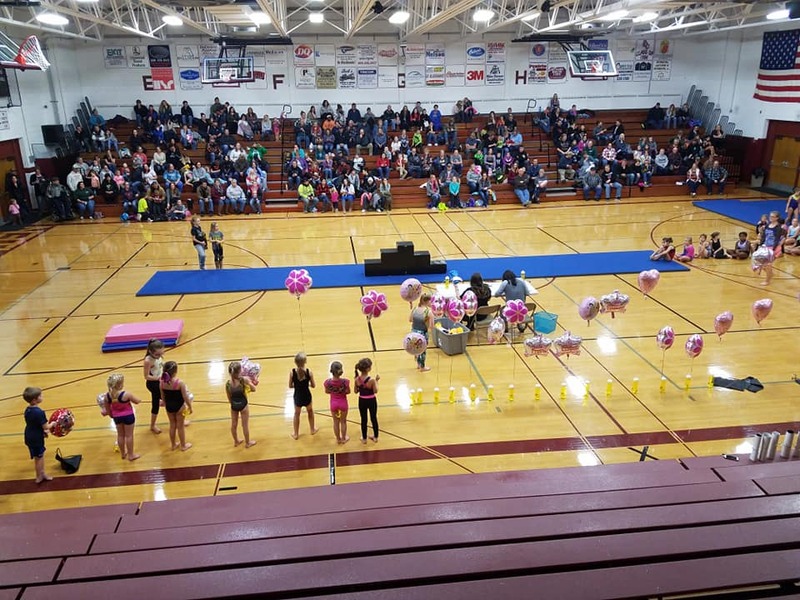 What is a tumbling meet? 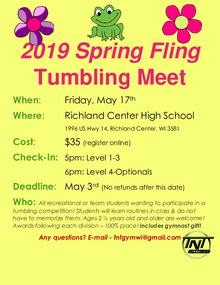 The tumbling meets are the meets held for the recreational (and team) students to experience their own "competitive gymnastics experience". 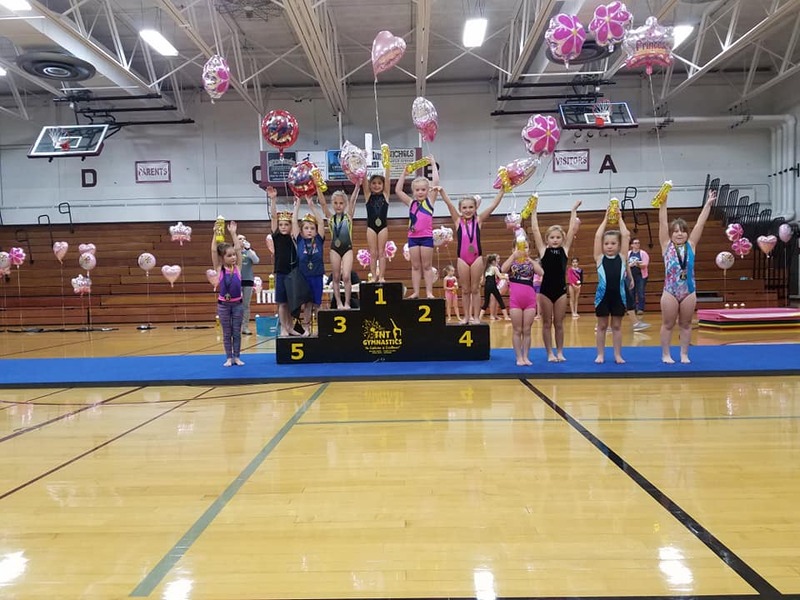 These are more casual competitions, everyone receives an award and a gymnast gift. 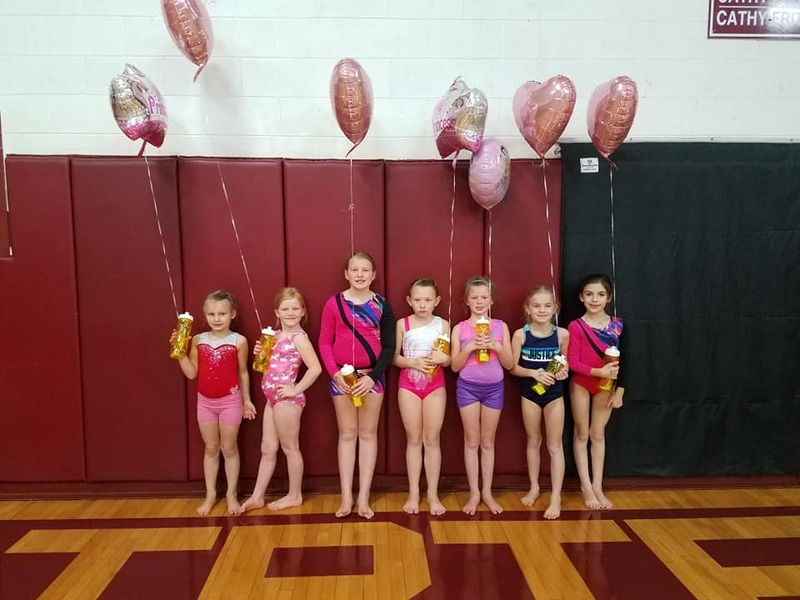 We like to think of it as a showcase to show all they have been learning in classes and a time for the gymnast to have their time in the "spotlight". How do I know what level my child is? 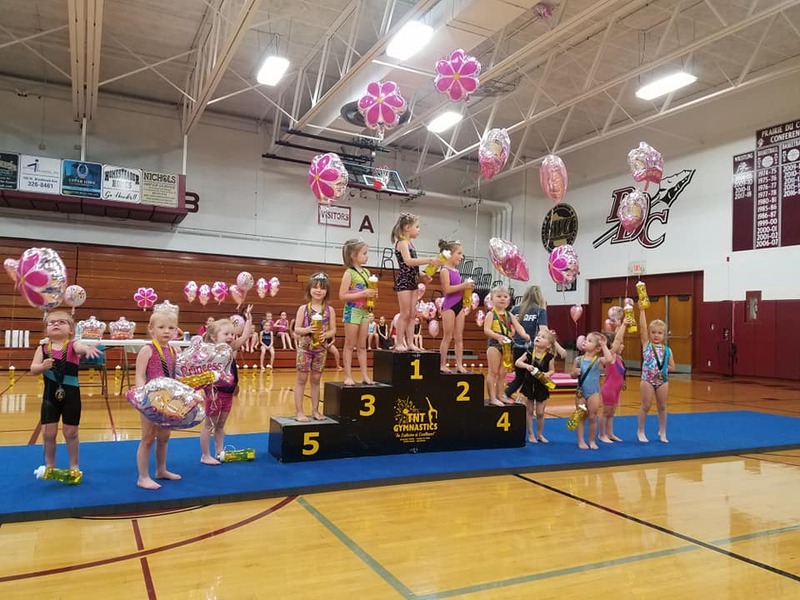 The level of your child for the tumbling meet routine may not necessarily be the same name as the class that they are in due to different learning levels/abilities. Please ask your child's instructor at the end of class if you are unsure. 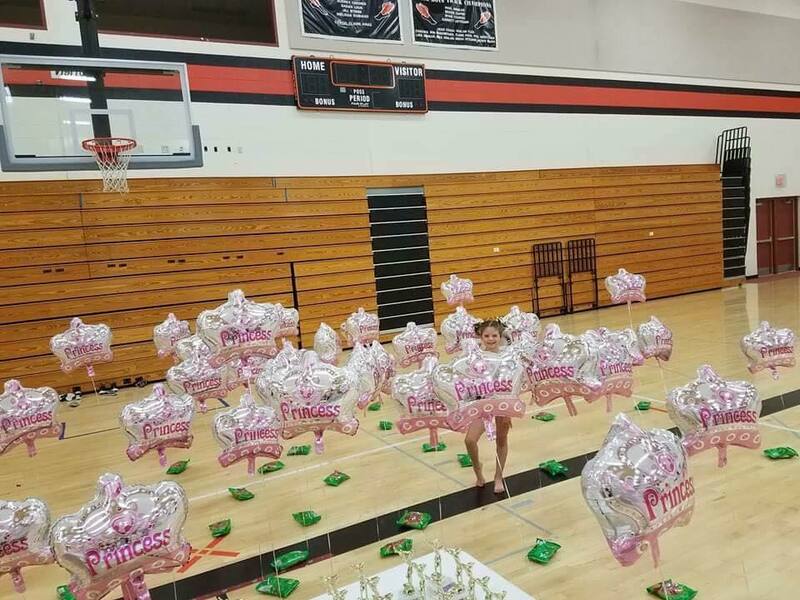 When do they learn the routines? Your child will learn the routines in class & we are always working the skills for their routines during class. 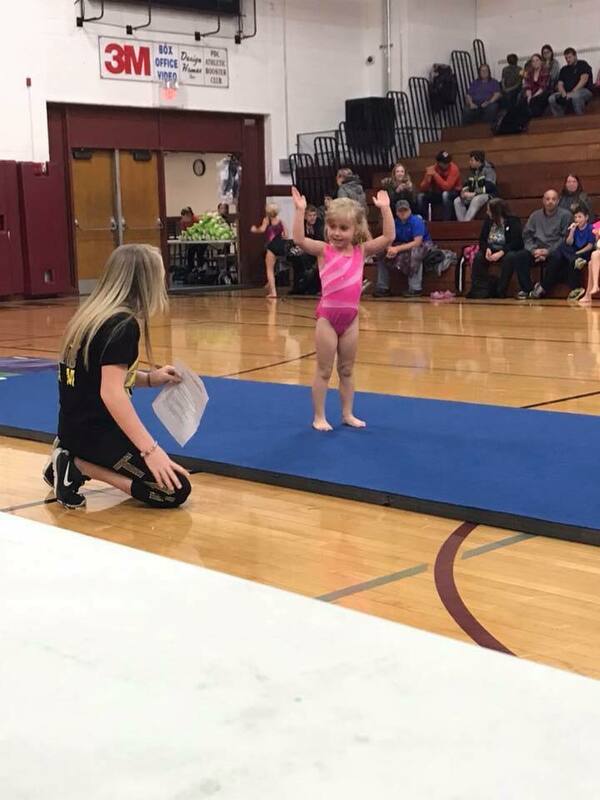 Your child DOES NOT need to memorize the routine, there will be someone at the tumbling meet telling every competitor their routine - this take the stressor of memorization off the child so they can focus more on their gymnastics! 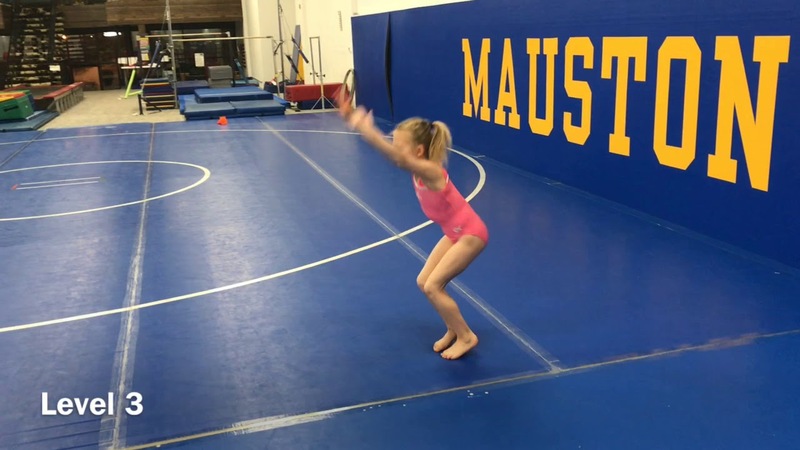 What if this is my child's first time in gymnastics, are they ready for a tumbling meet? YES! I can assure you we have a level for everyone! We also split up each division into age groups - so there shouldn't be more than 12 students in a single group!